MOSCOW (AP) — International diplomatic pressure increased on Moscow on Friday to end the joint Russian-Syrian siege of the city of Aleppo, but Moscow's U.N. ambassador says he will most likely veto a U.N. Security Council resolution that would ground Russian warplanes. Russia's parliament meanwhile ratified a treaty with Syria that allows its troops to stay indefinitely in the country, a show of support for embattled Syrian President Bashar Assad. The siege by Syrian forces backed by Russian warplanes has inflicted immense suffering on civilians in the city's rebel-held eastern districts. A cease-fire brokered by the United States and Russia collapsed last month and Washington-Moscow ties have deteriorated sharply; Russian lawmakers said ratifying the treaty with Syria on Friday was a necessary step to stand up to the U.S. The United States and Russia support opposite sides in the more than 5-year-old war — Moscow has been a staunch Assad ally and Washington backs Syrian rebels trying to oust him. As Aleppo's misery dragged on, Russia's United Nations ambassador Vitaly Churkin rejected a French-proposed U.N. Security Council resolution that would call for grounding all aircraft, including Russia's, over Aleppo. The resolution, also calling for an Aleppo cease-fire, is to be considered Saturday but Churkin said, "I cannot possibly see how we can let this resolution to pass." In a last-minute move Friday, Russia introduced its own draft resolution urging "immediate, safe and unhindered humanitarian access throughout Syria," similar language to the French text. But Russia's draft adds two new elements: It stresses "the urgent need to achieve and verify separating moderate forces from 'Jabhat Al-Nusra' as a key priority," a reference to the al-Qaida linked militant group. It also welcomes U.N. envoy Staffan de Mistura's proposal for an al-Qaida-linked militant faction to leave Aleppo in exchange for a halt to Russian and Syrian government bombardment and asks Secretary-General Ban Ki-moon to present a plan to the council to implement it. The Security Council will vote Saturday first on the French draft and then on the Russia draft — and what is likely to happen is a Russian veto of the French draft and a veto of the Russian draft by France and its Western allies. Russia's air campaign in Syria, launched a year ago, has reversed the tide of war and helped Assad's forces regain some key ground. Moscow says the goal of its military operation is to assist the Syrian army in the fight against terrorism. 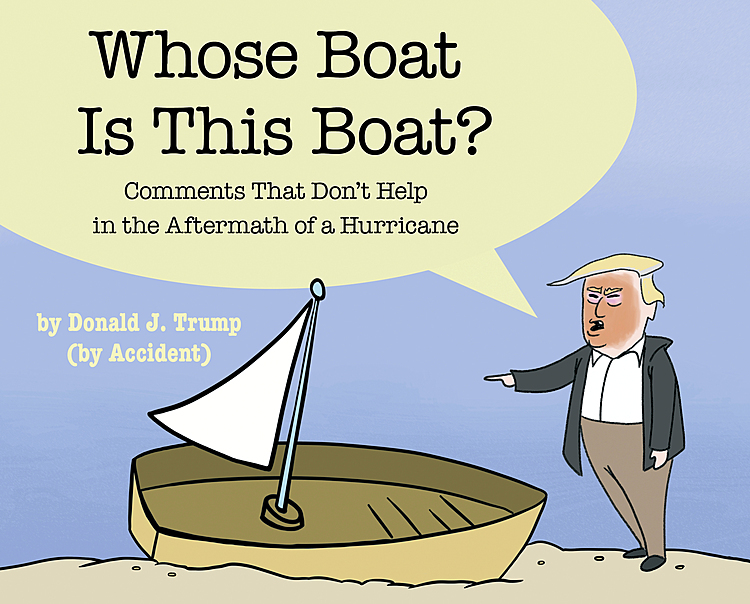 It rejects accusations of targeting civilians. Lawmakers in the Kremlin-controlled State Duma voted unanimously to approve the deal, which allows Russia to keep its forces at the Hemeimeem air base in Syria's coastal province of Latakia, Assad's Alawite heartland, for as long as it wants. The deal was signed in August 2015 in Damascus, a month before the Russian air campaign began. Russia also has a naval base in Syria's port of Tartus, the only such outpost outside the former Soviet Union. That base is not covered by the treaty, and some lawmakers say it could be the subject of a separate deal. On Thursday, the Russian military warned the U.S. against striking the Syrian army, stressing that Russian air defense weapons in Syria stand ready to fend off any attack. 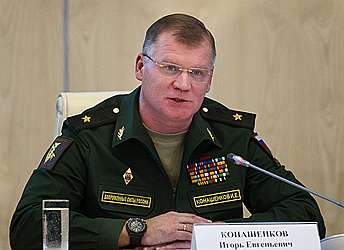 Russian Defense Ministry spokesman Maj. Gen. Igor Konashenkov said any U.S. strikes on areas controlled by Assad's government could jeopardize the lives of Russian servicemen, and noted that the range of Russian S-300 and S-400 air defense missile systems would "surprise" any country operating its aircraft over Syria. During Friday's debates, Russian lawmakers said that Russia should demonstrate its military muscle to deter the U.S.
Leonid Kalashnikov, a Communist lawmaker, said Moscow must "seriously defend our interests in Syria" in a resolute response to what he and other lawmakers described as Washington's anti-Russian policies. Meanwhile, Syrian rebels said they had captured several Shiite pro-government fighters in Aleppo after repelling a government offensive on a southern neighborhood of the contested city. Social media postings showed rebels from the Fastiqum faction harshly interrogating three captives, who spoke with Iraqi accents. The Fastiqum and Nour el-Dine el-Zinki groups said the prisoners were fighters from the Iraqi Nujaba Shiite militia, which has recently sent some 4,000 fighters to Syria to fight alongside government forces in Aleppo, a militia official told The Associated Press earlier this week. He spoke on condition of anonymity as he was not authorized to discuss the militia's strategy. The Britain-based Syrian Observatory for Human Rights, which monitors the conflict through activists on the ground, reported that five presumed Iraqi militiamen had been taken prisoner by the rebels. Syria's government depends on an array of foreign militias, elite Iranian fighters, as well as Russian military intelligence and air power to maintain its fight against the rebels, who also rely on foreign fighters. The Observatory said clashes were underway Friday in Aleppo's southern Sheikh Saeed neighborhood, as well as along other fronts inside the city. On Thursday, de Mistura urged fighters from the Fatah al-Sham Front, previously known as the Nusra Front, to evacuate to another part of the country to save the ancient city from complete destruction. Britain's U.N. Ambassador Matthew Rycroft echoed de Mistura's contention that the bombing raids in eastern Aleppo, with a population of 275,000 civilians including 100,000 children and about 1,000 "terrorists," were indiscriminate. "This is not about stamping terrorism, this is about killing civilians," said Rycroft. "We are all in favor of fighting terrorism in Syria but the biggest single killer of innocent civilians in Syria is the Syrian regime. The second biggest killer of innocent civilians in Syria is Russia, and it's only the third biggest killer of innocent civilians in Syria that is al-Qaida, al-Nusra and all the other terrorists." Russia's Foreign Minister Sergey Lavrov said Friday that Moscow backs the de Mistura's call, saying that Moscow is ready to ask Damascus to allow the militants to leave the city with their weapons "for the sake of saving Aleppo." He added, however, that policies need to be developed to deal with other militants who choose to stay in Aleppo. A Fatah al-Sham official in northern Syria told the AP via text message that the group's gunmen will not leave Aleppo, adding that they intend to stay to defend eastern parts of the city. He said the group's fighters would only leave if the Shiite militias withdrew from Aleppo.